If you want to buy a Claremore High School yearbook or sell your Claremore High yearbook, this is the place to do it. Just make a post below to find another person who went to school in Claremore to make the trade. 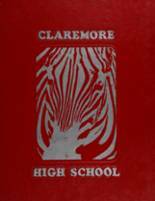 You can also find out what other graduates are doing now, share memories with other alumn, upload pictures from Claremore High and find other alumni. I just never got the chance to order one. I wasn't able to get one my senior year and I would love to have one now! I NEVER GOT THE CHANCE TO ORDER MY CLASS YEAR BOOK AND I WOULD LOVE TO GET ONE NOW. I never got my yearbook for my last year in high school. 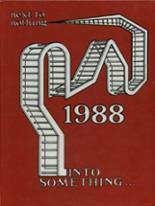 My yearbooks, from 1982-1986 were damaged, beyond repair. I would love to be able to replace any, or all, of them. If anyone has any of them available or knows where I can get them, please let me know. Thank You! I am also missing one, from Jr. High...8th grade...I guess that's 81 or 82 ish. 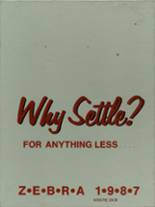 I am looking for one for my father who went to Claremore for 2 year, Richard Wright, for his birthday. 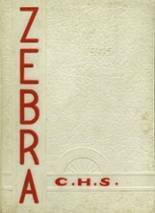 Would like to have a 1973 yearbook. 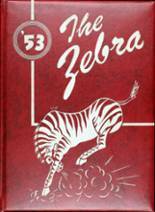 If you have a '66 Zebra yearbook available, please email or Facebook me with your price. 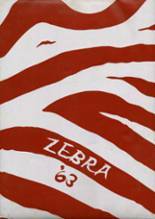 If you have a 1965 yearbook please email me with a price.